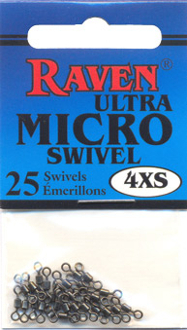 RAVEN MICRO SWIVELS These low-visibility swivels are extremely small and strong, allowing for an ultra subtle presentation. 25/bag. 4 sizes.